Doha, Qatar - 25 March 2018: As part of its ongoing efforts to spread the culture of agriculture among Qatari farmers and enhance food security in the region through the fisheries, livestock and other agricultural sectors, Qatar Development Bank (QDB) participated in the 6th Qatar International Agricultural Exhibition, AgriteQ 2018. This event was held under the patronage of the Ministry of Municipality and the Environment, from 20 to 22 March at the Doha Exhibition and Convention Center to highlight the latest innovations in agricultural techniques, and to pinpoint the road map to achieve food security, sustainable development and economic diversification contributing to the ‎Qatar National Vision 2030. As a development sponsor at AgriteQ 2018, QDB’s participation has been in line with its development strategy to achieve economic sustainability through the support of national products. QDB focuses on accelerating the development and diversification of the economy of Qatar and contributes in the investment and financing of several projects through various financing programs, including the “Fisheries Finance Program” that specializes in financing the purchase of vessel engine, fishing equipment, communication and protection devices, refrigeration unit to transport fish locally with a means of transport equipment, in addition to the “Agricultural Financing Program”, which includes the purchase of greenhouses, irrigation tools and equipment, as well as the required water desalination unit for agriculture and any new techniques to improve agricultural production. The Bank also provides “Livestock Finance Program” designed to help finance the purchase of female livestock. 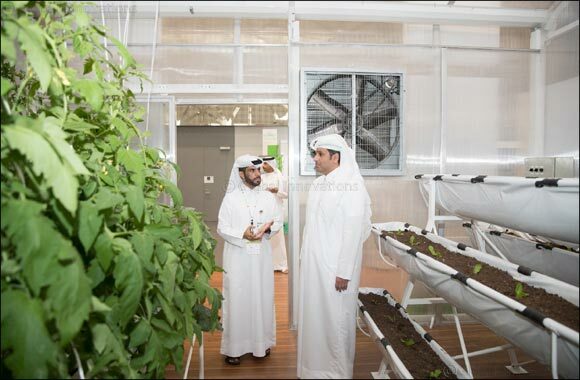 During its participation in the 6th Qatar International Agricultural Fair AgriteQ 2018, Qatar Development Bank (QDB) launched its new “Greenhouse Program”, which aims at financing the construction of greenhouses in different areas suitable for Qatari houses to ensure self-sufficiency of locally produced food and reduce dependence on imports as well as providing all planting and technical support with a maximum funding amount of QAR 70,000, in addition to providing a one-day workshop that will offer farmers adequate knowledge in agriculture and a better understanding on agricultural track systems that will play an important role in facilitating the follow up procedure on agricultural production. Qatar Development Bank (QDB) makes it clear that all interested applicants applying for the construction of greenhouses financing program should register and apply on the Bank’s website, in order for each request is replied to individually before meeting with the customer relations manager and start taking necessary procedures on approvals. Before the installation of the greenhouse, all customers are required to attend the mandatory workshop which offers them with essential knowledge before installing the greenhouse. The 6th Qatar International Agricultural Exhibition (AgriteQ) reflects 5 years of success and acts as the forefront in providing a full-fledged platform for local and international agriculture stakeholders to exchange expertise, discover trends and developments, and seize business opportunities in this vital sector. This year’s event furnishes an ideal opportunity for industry specialists to explore a wide range of agricultural technologies, equipment and related products, meet key decision-makers, gain valuable insights, and discover the best practices. Qatar Development Bank’s (QDD) initiative to launch the 'Greenhouse' program at AgriteQ is in line with the Bank's strategy to fund small and medium enterprises in the agricultural, livestock, fishing and food processing sectors which will support Qatar’s efforts in achieving food security and reduce dependents on imports.